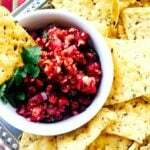 This healthy Cranberry Holiday Salsa fresh, fun, and festive holiday appetizer that is a little bit tangy and a little bit sweet. 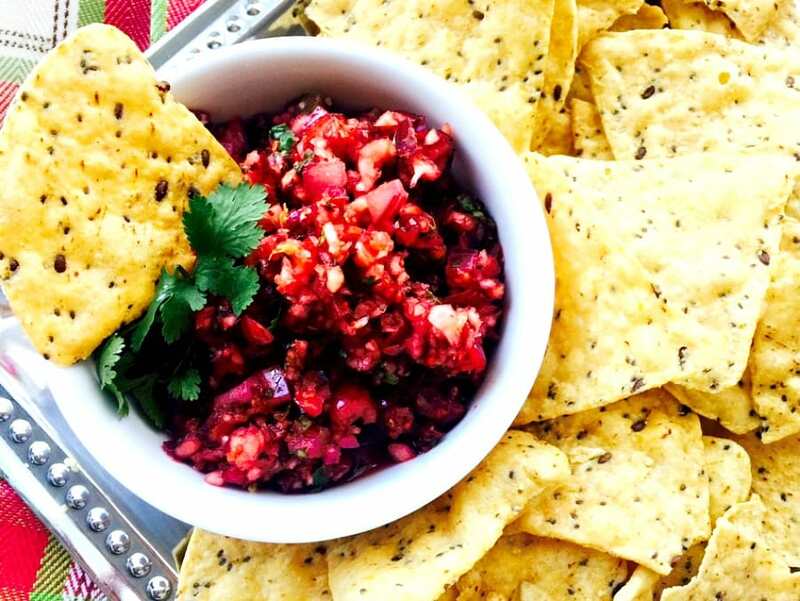 It’s delicious as a dip with your favorite tortilla chips, or served with goat cheese and crackers. You know you are in trouble on Thanksgiving when you fill up on appetizers. I totally didn’t mean to. Oh my goodness, you guys. It’s really so simple, too. It took about 5 minutes to put together using my food processor. But the flavors. Wow. 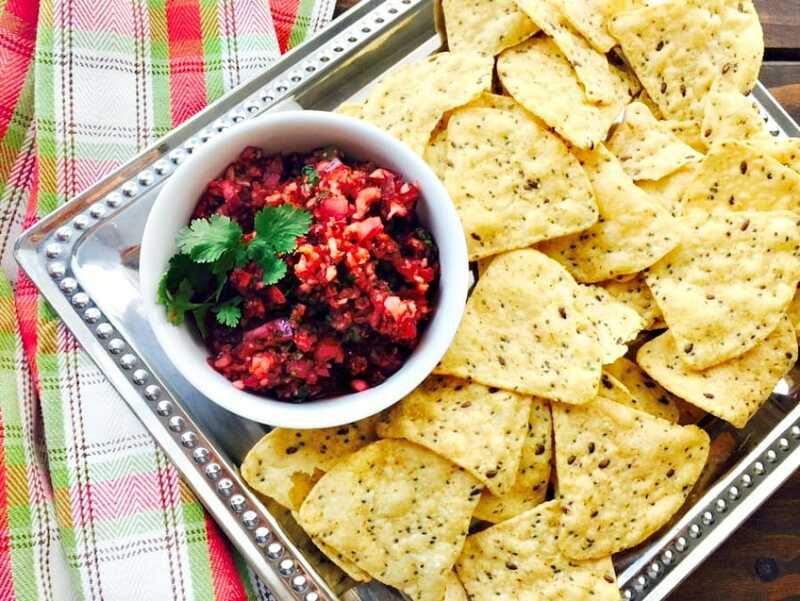 A little bit tangy and a little bit sweet with fresh cranberries, cilantro, and a few yummy accompaniments that just work together in a way that you will wonder why you never tried it before. 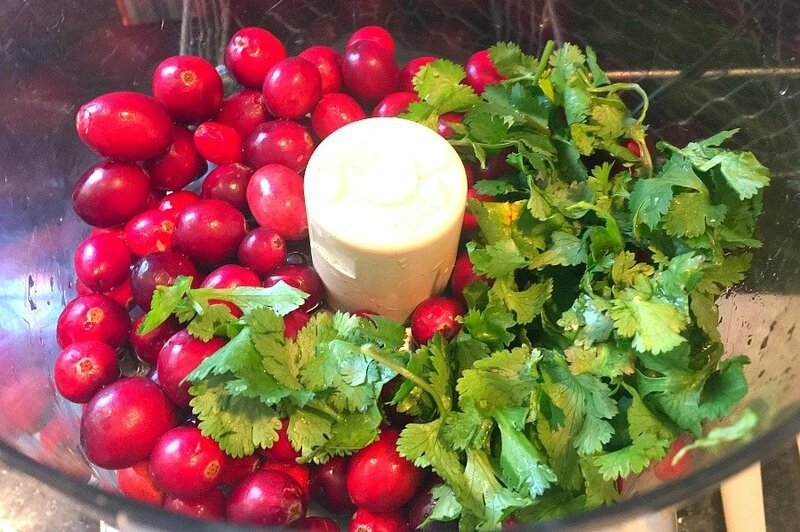 Oh – and it’s such a lovely red and green color for your holiday table. 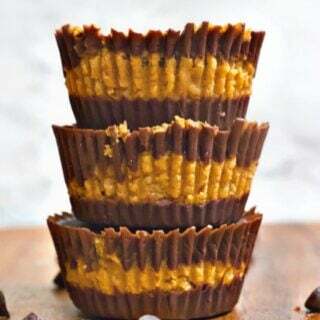 I used fresh orange juice, as well as fresh lime juice for flavor and a combination of maple syrup and coconut sugar to sweeten it just enough. I added just a little diced jalapeno and onion, as well, but both of these could be increased if you want a stronger or spicier flavor. And you just mix it all together and serve with chips. 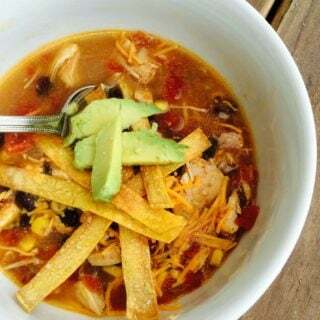 I used these delicious sweet potato tortillas – so good! Like I said, it couldn’t be easier! If it were me, though, I would also serve it with some crackers and goat cheese. Just maybe NOT on Thanksgiving. 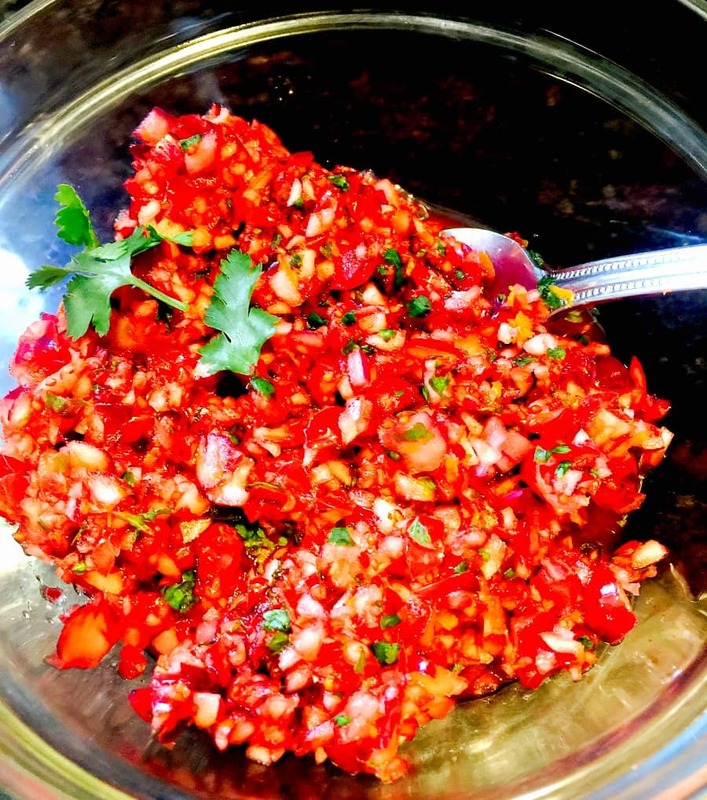 In a food processor, pulse cranberry and cilantro until coarsely chopped, but small enough for a salsa. Stir in remaining ingredients and season with a sprinkle of salt and pepper. Adjust sweeteners if necessary. Refrigerate until ready to serve. Great with chips or crackers and goat cheese. 1/3 PURPLE, but don’t forget to count chips or crackers as a yellow! Want to make dinner planning a breeze? 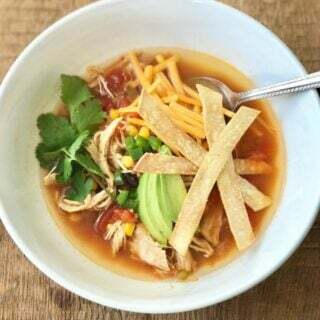 Check out my eBooks on Etsy with delicious and easy FIX approved recipes, full grocery lists, and prep tips to keep your time in the kitchen to a minimum! Are you doing a round of the 21 Day Fix? Don’t do it alone – let me coach you! 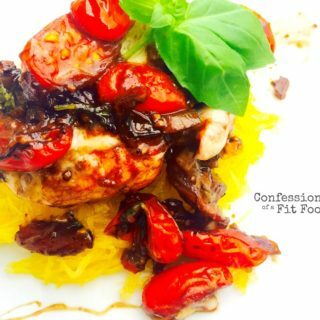 Contact me at trueconfessionsofafitfoodie AT gmail DOT com to join my current challenge group for daily motivation, recipe ideas, and the support of over 200 women.